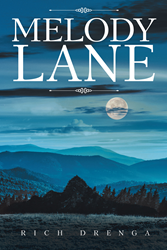 Recent release “Melody Lane” from Page Publishing author Rich Drenga touches on topics relating to police procedurals, judicial systems, and conspiracies surrounding crime and punishment, with an unexpected turn that leaves the reader captivated by a truly heartfelt tale. Rich Drenga, a writer, author, pet owner, and husband from a small coastal town in Down East Maine, has completed his new book “Melody Lane”: an engaging tale investigating a murder and the proving of the innocence of a suspect due to lack of evidence. Published by New York City-based Page Publishing, Rich Drenga’s absorbing account mirrors the idea of justice batting a blind eye to the people regardless of overwhelming guilt or absence of malice. Readers who wish to experience this captivating work can purchase “Melody Lane” at bookstores everywhere, or online at the Apple iTunes store, Amazon, Google Play, or Barnes and Noble.